Oculus is a major player in the virtual reality field and it is constantly trying to release gadgets that offer the best VR experience. Oculus Rift has been offering users great VR experiences but the availability of the new Oculus Go aims to even make virtual reality even more accessible and affordable. Each VR headset outdoes the other in different aspects and to understand the functionality and design of these devices, below is a review of Oculus Go vs Oculus Rift. Oculus Go is designed with an LCD display screen with a refresh rate of 60-70Hz. Oculus Rift uses OLED- display per-eye with a refresh rate of 90HZ. Although Oculus GO has high image clarity, Rift produces images that are smooth. Both headsets have inbuilt microphones and they allow users to wear headphones if they desire. Oculus Rift has a detachable headphone that produces powerful audio while Oculus Go has an inbuilt 3.5mm jack. Oculus Rift users have to plug the headphones on the PC and while the GO has amazing directional speakers, it still doesn’t produce private or robust audio experience. When it comes to tracking, these headsets differ greatly. Rift supports the tracking of touch controllers and headset in full motion for a completely immersive experience while Go is very simple. It only tracks the head’s rotational movement. It is safe to say that for every game or experience that Oculus Go offers, the same will be available in Oculus Rift. Rift has a huge access to game assortments on Oculus Store and Steam. Its high-quality GPU produces an amazing gaming experience by delivering stunning visuals. 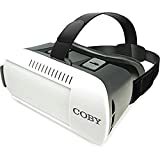 Although Go has plenty of game and movie titles, thousands of apps and it shares a library with Samsung Gear VR, you will miss the chance of playing popular games such as Robo Recall, Skyrim VR etc. Oculus Go supports Unreal and Unity game engines only while the Rift supports those two as well as CryEngine. Unlike Rift which connects to the PC, Go is wireless and self-contained. It doesn’t even require a smartphone in order to run. 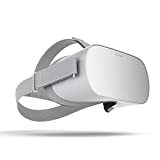 Although Oculus Go is newer than Oculus Rift, the latter remains as the premium headset for many people. It offers an amazing VR experience that stands out, whereas, the standalone Oculus Go is more accessible, affordable and it has improved visuals, no wires, and no PC needed. The best place to buy either of the two VR headsets is Amazon.com, for the best prices, and customer service.